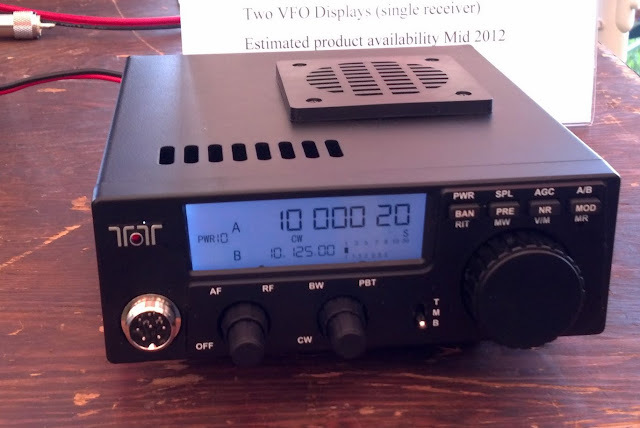 I missed the Ten-Tec hamfest this year, so I also missed the preview of the 539 QRP Transceiver. Speculation is that the 10W unit will also have an optional amplifier to take it to 100W. Check the links at the bottom of this post for more info. I'd like to own a piece of Ten-Tec equipment, just because they are local. This might be it. Noise Reduction, Noise Blanker, Selectable Fast/Med/Slow AGC, RIT, PreAmp, 100 Memories, etc. Looks like this won't be ready for Christmas.